Click on the links below to find answers to your questions. If you cannot see the question you are looking for, simply fill in the form on this page and an advisor will call you to discuss your query. A Protected Trust Deed (PTD) enables you to make a formal proposal for payment to your creditors through an Insolvency Practitioner. The proposed payments will be less than the full amount of the debt owed but your creditors would be accepting the offer in full and final settlement of their claim. Your creditors have the right to vote whether to accept or reject your proposal but were they vote to accept it, a legal agreement is created which is binding on you and your creditors. The proposal will be tailored to meet your individual circumstances but typically would involve you paying a monthly payment, a lump sum or some combination of the two. When you sign a Trust Deed your assets are transferred to the nominated Insolvency Practitioner, who becomes your Trustee. Any valuable assests would be sold to help pay your creditors, but you are able to keep most of the things you need for day-to-day living. Proposals can also take account of eratic income such as overtime or bonuses. Why would a trust deed be the right choice for me? If your creditors are hassling you and there is no light at the end of the tunnel with regards to paying off your debts, or if you feel you will be paying them off for eternity then a Trust Deed may be extremely beneficial. One of the best things a Trust Deed can offer you is a guaranteed date when your payments will stop and your debt will be cleared, which is usually three years. If you can be guaranteed an end to the problem then the future will be a lot brighter. You will have only one affordable monthly payment to your creditors. All creditors are bound by the Deed and are therefore prevented from taking legal action and all pressure from them is stopped. No, you will not have to go to court. Will my name be in the papers? No. But it is usually recommended that you inform your partner. If debts are in joint names then your partner would have to be informed. When does the period for objections end? From the date of publication of the notice in the Edinburgh Gazette your creditors have a period of 5 weeks within which they must submit a rejection to us in writing. What do I tell my creditors if they phone? The Trustee will not contact your creditors until you are granted a Trust Deed. However, you should notify them you are taking professional advice about it. What if my creditors object? If more than one third in value or a majority in number of your creditors place a notice of objection with the Trustee before the 5 week deadline then the Trust Deed cannot become protected. The Trustee will assist you in applying to the Court for an Award of Sequestration which the creditors have to accept. 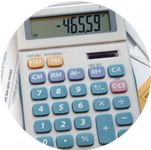 The Trust Deed does not cut down a wages arrestment that is in place prior to the Trust Deed. However, most creditors will cancel this after the Trust Deed is protected. Only if you have debt with that particular bank it is recommended. Will my employers find out about the trust deed? No. The only way they can find out is from the Edinburgh Gazette or if a creditor notifies them. What are Money Laundering regulations? The Trustee has to comply with Money Laundering Regulations and Proceeds of Crime legislation and confirm your identity. This also applies to any third party who may provide funds on your behalf unless paid through a solicitor who is required to undertake his own checks. What is a Trust Deed inhibition? The Trustee places an Inhibition as a security over the property so that this cannot be sold or further borrowing arranged without trustee consent. When will the inhibition be removed? This will be removed once the payment agreement is completed and all asset values have been dealt with and the trust deed is concluded. How do I pay an equity settlement? Can be arranged at any time during Trust Deed period but as early as possible preferable. Can be arranged in part at commencement and again after 3rd anniversary to deal with any balance. Must I pay loans held as a 2nd security over my property? This must be continued to be paid or your home is at risk. What happens if my house is sold? The mortgage and any securities attached to the property will be settled and residual balance will be forwarded to trustee subject to relocation allowance. Normally up to £1,000 per owner. 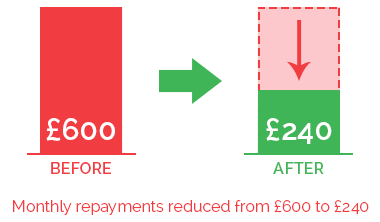 Can you help me with a remortgage? Yes we can put you in touch with an Independant Financial Advisor (IFA) who can assist people in Trust Deed arrangements or you may appoint your own. Is my partners share of property affected? The Trustee has no interest unless your partner has also granted a Trust Deed. Yes. You have to inform the lender that you are in a PTD and it is the finance company's decision. The Trustee wil not normally consent if the monthly cost is higher as it cannot affect your Trust Deed payments. Yes, as long as this is for travel to work purposes and monthly payments are being maintained with the consent of a finance company holding a security over the vehicle. To determine equity value if over £1,000 at completion of payment agreement. Will the finance company object to my Trust Deed? Not usually, as the Trustee will provide consent if needed and as long as monthly contributions are paid to your Trust Deed. Surrender of Life Policies and do we continue with the premiums? If you wish to retain the policy you have to pay the cash surrender value to retain this. A third party payment can be accepted or the Trust Deed extended after the 3rd anniversary. Alternatively the policy can be surrendered with your share of the value paid to the Trustee. Do I have to sell my shares? The Trustee must collect the value of all investments you hold either through a sale or by extending the period of your Trust Deed to collect additional payments. Third party payments can also be accepted. Your creditors have no direct claim against your pension fund however your Trustee must assess your ability to pay monthly contributions from all your sources of income including pension benefits. Why do creditors continue to call when I have a trust deed? Your debts are often transferred to debt collecting companies who may try and make you pay. However it is illegal for you to make any payment to your creditors after you have granted a Trust Deed. Can my partner be pursued for a joint debt? What do I do with a charge for payment of money? This means a Court Judgement has been made against you and you or the creditor can apply for your affairs to be sequestrated i.e. made formally bankrupt. WHat happens when debt has been purchased by a debt collecting company? The dividend payment will be made to the new owner and not the original creditor and the balance is legally written off. Will the Trust Deed defeat a creditor Inhibition? No it will grant the creditor a form of security if in place prior to the Trust Deed. How are my payments calculated? These are assessed on two thirds of your disposable income subject to a minimum payment of £250 per month over a three year period. Why do my payments get increased? If your disposable income is increased through extra income or savings in essential expenditure then the Trustee will request a higher amount each month based on your ability to pay. Joint income when other party not in a Trust Deed. Why does this affect my partner? The total joint income needs to be taken to establish your share of joint household expenditure on a pro rata basis. There has to be a valid reason for this with medical proof needed if caused by serious illness. If non co-operation then the Trustee may arrange for your affairs to be sequestrated (formal bankruptcy). Can I finish my trust deed early? The Trustee can normally accept a lump sum to complete your payment agreement at any time. The source of funds will need to be verified. What happens if I lose my job or take ill? Notify Trustee who will require details of any redundancy and severance payments. If only temporary then Trustee can suspend monthly payments until you resume work again. The Trustee will obtain a copy of the death certificate and examine if any Will prepared. Creditors are entitled to benefit from any funds arising. You must inform the Trustee and provide full details as your Trust Deed creditors are entitled to benefit from this. Do I receive a Certificate of Discharge from the Trust Deed? No discharge certificate just a letter advising completion of trust deed and what has been paid to your creditors. Do I need to attend final meeting of creditors? There is no requirement to attend. Do you update my credit file and how long is my credit rating affected? It is up to the individual creditor whether they update your credit file, and the credit rating can take from 6 to 15 years from the end of the trust deed. The Trustee has no responsibility for this. If you need help with paying your debts, simply get in touch with us on 0800 043 3328 or contact us by filling in a form and we will get in touch with you..